"We want all the children to be valued and respected equally"
Ravensthorpe Community Childcare aims to provide a high standard of individual and group care. Children are supported in various ways; by good role modeling, interaction, scaffolding, observation and assessment. We focus on meaningful activities to support children’s learning development. The setting is registered with OFSTED and the Pre-School Learning Alliance. A warm and welcoming atmosphere awaits your child. 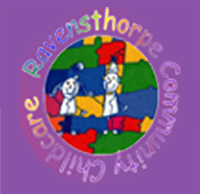 Ravensthorpe Community Childcare aims to provide a high standard of individual and group care. Children are supported in various ways; by good role modelling, interaction, scaffolding, observation and assessment. We focus on meaningful activities to support children’s learning development. 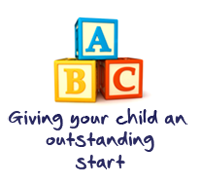 The setting is registered with OFSTED and the Pre-School Learning Alliance. A warm and welcoming atmosphere awaits your child. The nursery aims to: Provide activities that are appropriate to ensure that children acquire the necessary skills, concepts and attitudes that form part of the Early Years Foundation Stage (link to curriculum page). Reflect on children’s needs and interests and ensure that activities meet their individual needs. Create an atmosphere where every child feels secure, valued and confident. Acknowledge parents in their role as children’s prime educators and seeks to promote a partnership with them that develops a shared understanding with mutual respect and dialogue. Pay high regard to health and safety to meet the needs of young children with appropriate space, facilities and equipment. Monitor, assess and keep records of skills and progression. Develop a positive learning environment by providing good resources/materials. Ensure no child is excluded or disadvantaged because of his or her race, culture or religion, home language, family background, special educational needs, disability, gender or ability. Our policy is that all children should feel included, secure and valued.